This is a one of a kind course that is a truly unique experience. 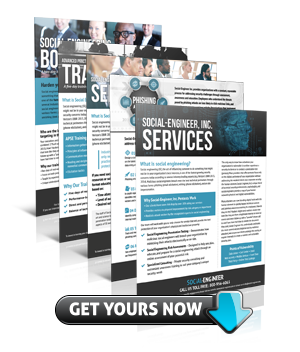 It is available only one time per year and only for graduates of the very popular Advanced Practical Social Engineering Training. 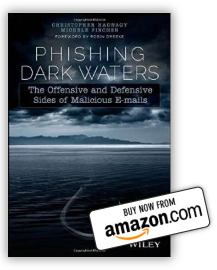 Designed and written by Christopher Hadnagy (author of Social Engineering: The Art of Human Hacking and Unmasking the Social Engineer: The Human Side of Security and Phishing Dark Waters), and by Michele Fincher (World Class Social Engineer and Author of Phishing Dark Waters), this five-day training is the only performance-based master’s level social engineering course offered to the public. 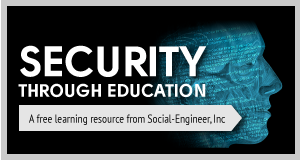 You will be given hands-on, live, practical experience in all aspects of an actual social engineering penetration test. This course qualifies for 40 Continuing Professional Education (CPE) credits; certificate available upon successful completion of the course. 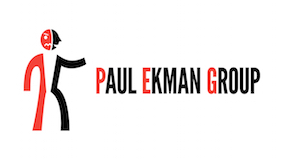 In addition to our public offerings, Social-Engineer Inc. offers closed (private) and hosted classes upon request. What will I be expected to do in this class? 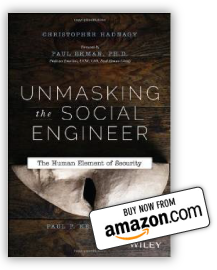 This course is truly immersive, as a student you will have to be willing to try all aspects of a social engineering penetration test. We will be writing and executing phishing emails on live targets during the week. Phone calls to collect data and to further attacks will be utilized during the week. During the week each student will have to engage in a real office with targets in order to gather data, access or other pieces of information.